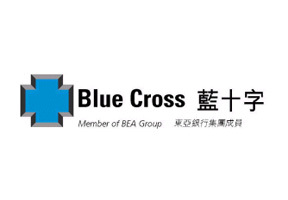 Established in 1977 by the Bank of East Asia group, Blue Cross Asia Pacific is aimed at servicing the medical insurance needs of expatriates and nationals around the Asia Pacific region. With over 30 years experience in the world insurance market, Blue Cross International can offer flexible and comprehensive plans that cover family, individuals, groups and businesses. This can assure you and your loved ones are covered in case of unforeseen circumstances. Blue Cross International has won a number of internationally accredited awards since it began, which include the Singaporean award "MIS Asia I.T. Excellence Award: Best Business Enabler - Banking and Finance" in 2005, "most popular travel insurance company" in 2005, the "Asia Pacific Customer Relationship Excellence Award - Innovative Technology of the Year" in 2003 and in 2006, the "Hong Kong top service brands award - emerging service brand" in 2007. By offering one stop online purchases of policies and facilitating the treatment of its clients through interactions with various hospitals, Blue cross international ensures clients the best possible servicing of their policies. In 1994 Blue Cross International developed a direct settlement network that allows them to settle any claims with the healthcare facilities directly, thus easing the pressure on you, the valued client. For more information on Blue Cross International or for a free comprehensive insurance quote please feel free to contact us.